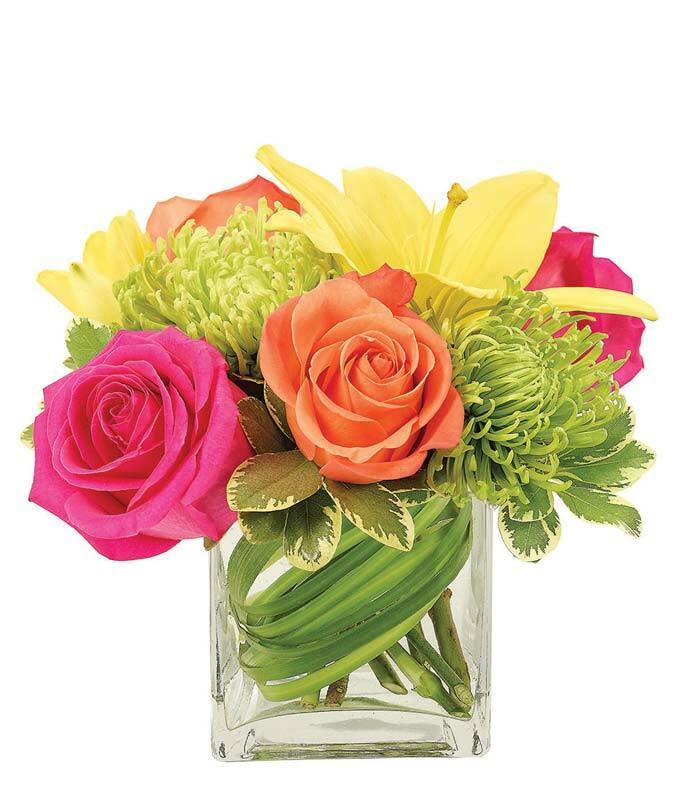 Make a bold statement with this beautiful bouquet full of fluorescent blooms! The arrangement will brighten up a home or office for days! Arrangement Height 8", Length 8"